This is a quick, one-stop safari option for people seeking a luxurious break in the bush. Sometimes spending a short stint in ultimate relaxation, fresh air and luxury is all you need to refresh. This itinerary takes guests to one of our favourite private reserves sharing unfenced borders with the Kruger Park - the Timbavati Private Nature Reserve. Here, in the Greater Kruger Park, a collection of associated Big 5 private nature reserves offer guests an exclusive, unrivalled experience of the bush. 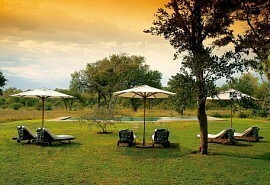 Motswari Safari Lodge is a luxury lodge in the heart of the Timbavati. Its unique and tranquil setting, friendly hospitality, excellent cuisine and luxury accommodation will make you feel at home for 3 nights. Upon arrival at Hoedspruit airport, you will be met by a representative from Sun Safaris who will road transfer you to Motswari Safari Lodge, in the Timbavati Private Nature Reserve, for 3 nights on a full board + game activities basis. Motswari is a South African jewel. 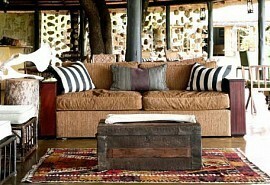 This family-owned safari lodge prides itself on its warm atmosphere and luxurious accommodation. Guests will experience fantastic Big 5 game viewing, guided by expert game rangers and trackers in open 4x4 Land Rovers. The lodge is well positioned within the Greater Kruger Park. After your morning game activity and brunch, your host will road transfer you back to Hoedspruit airport, where you will catch your scheduled flight back to Johannesburg's OR Tambo Airport in time for your onward travel arrangements. The Best of the Kruger Safari allows guests to spend 3 nights at two different comfortable safari lodges in the Private Reserves of the Kruger National Park. 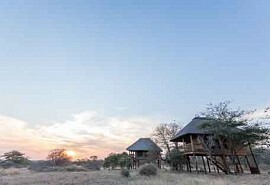 The Kruger Private Reserves provide the ultimate safari experience. This is a quick Kruger fix that is sure to invigorate anyone's senses. nThambo Tree Camp is an intimate camp that offers a rustic safari experience in beautiful treehouse chalets. Guests will experience fantastic Big 5 game viewing with expert guides.